Our favourite photo website for this week is Julian Goldswain’s site which we stumbled across recently. 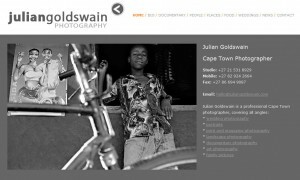 Julian is a Cape Town based photographer whose website is full of great images. He also has posts with news and the occasional photography tip as well. Well worth checking out for some inspiration.